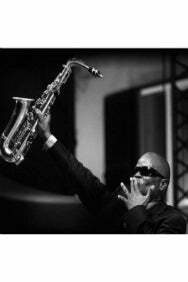 We do not curently have theatre tickets available for Innervisions Festival Presents - Maceo Parker. This could be because we have simply sold out or it could be that this show is no longer running. The information on this page remains purely for historical and informational purposes. Iconic American funk and soul jazz saxophonist, Maceo Parker is best known for his work with James Brown in the 1960’s as well as George Clinton's Parliament Funkadelic in the 1970’s. Parker was a prominent soloist on many of Brown’s hit records, and was a key figure in his band, playing alto, tenor and baritone saxophones and lyrically immortalised “Maceo, blow your horn”. Since the early 1990’s he has toured and performed under his own name as well as making guest appearances as part of Prince’s band New Power Generation including the legendary 21 nights in London in 2007. Parker has also performed with Ray Charles, De La Soul, James Taylor, Ani Difranco and the Red Hot Chilli Peppers.